Today is another National Day of “Something” and we love nothing more than giving our loving fans opportunities to win a pair of concerts tickets, especially when June 15 is National Smile Power Day! So it’s time to get your smile power on because we’re giving away two pairs of tickets to tomorrow (6/16) evening’s Edward Sharpe and the Magnetic Zeros concert starting NOW, and ending tomorrow morning at 9 am! 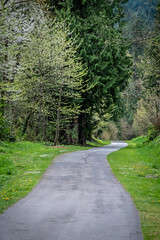 What King County park or trail puts that big smile on your face? ****King County Parks is NOT Seattle Parks. Post your answer on our Facebook or Twitter post about this giveaway. Make sure you follow us on twitter and/or like us on Facebook so we can PM you with details if you’re the lucky winner. You will be entered into a drawing and names will get drawn shortly after the contest closes. Contest closes at 9 a.m. tomorrow morning, 6/16. Next Post Washington Brewer’s Festival 2016 Has Begun!